What’s a pilgrim soul? Yeats might say that it’s who we really are, not who we pretend to be. We say it’s someone who isn’t afraid to admit they’re searching, a current student who is on a path, but doesn’t know exactly where it will lead. Taylor Townsend is a senior majoring in English and Telecommunications with concentrations in Creative Writing and Video Productions. She has a fellowship with the Honors College in which she is the co-editor of The Odyssey, the Honors College’s annual literary magazine. 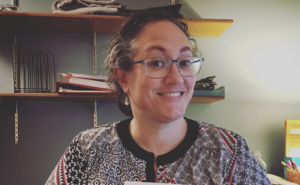 She has also served as social media editor for The Broken Plate, the first Public Relations and Historian chair for Sigma Tau Delta, and a member of Book Arts Collaborative. She is also involved in Cardinal Catholic and BSU Tonight at Ball State. In her free time, she enjoys reading, writing for fun, playing video games, watching movies, and playing with her dog, Atom. You can follow her on LinkedIn and her personal website as well as Instagram and Twitter. 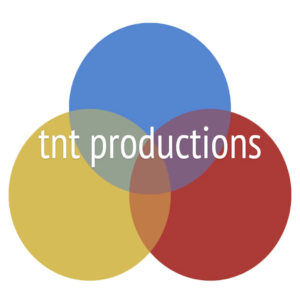 More information on TNT Productions can be found at tntprouduces.com as well as Instagram and Facebook. Why did you become an English major, and how has that influenced you in Telecommunications? So in high school, I participated in Speech Team and I did a category called Original Performance, where competitors write their own works and act them out, no matter if it’s scripted, memorized, in a solo or a duo setting… And I did it all four years and I loved it! I loved the creative control and where I could go with it. Flash forward and I realized I wanted to do Disney movies… specifically, I wanted to write Disney movies. And junior year I decided not only was I going to be a screenwriter, I was going to go to college for it—even more, I toured Ball State that year and realized that it was almost a perfect place to go with its programs like CEI. I was lucky enough that Telecommunications kind of subtlety slid into the picture in my freshman year. I still want to write movies first and foremost—but Telecommunications allows me to also make the movies. 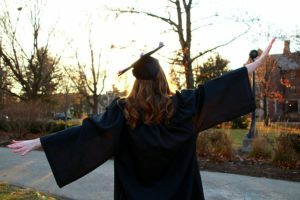 Throughout the years, learning to be a competent, intriguing, and inspiring storyteller has allowed my degree in Telecommunications to be strong in an area that can seem weak and underappreciated in a production-based world. My degrees allow each other to thrive and bounce off each other! What inspired you to start TNT Productions? I really wanted to make stories that aren’t done in “mainstream” media! Really, I think diversity is so incredibly important, even if I’m still understanding the importance of it through academia and experience. Everyone’s story deserves to be heard. Otherwise, when I really started to consider TNT Productions as a real possibility, I was so attracted to the creative ownership and freedom that comes with an independent, multimedia company. There’s variety with a company like TNT Productions. You clearly offer an impressive array of services at TNT. Could you go a little more in-depth about what kind of client projects you develop? Thank you so much! So TNT Productions’ client services are based in Photography, Videography, and Social Media services. 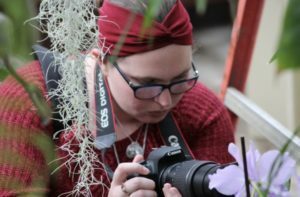 For photography, our specialty is in portrait photography such as senior pictures, family photos, or just general portraits, sports photography, and commercial photography—but we are willing to do other styles as well! In terms of videography, our strengths are in styles such as highlight videos for events, short films, commercials, and music videos. However, I’d also like to explore wedding videography and more into documentaries at some point! Social media services are, in simplest terms, general made up of consultations, content creation, and content distribution. Social media services is definitely more based on a client’s need rather than a particular style. I’m not really sure, if I’m honest? I feel like it really depends on how I’m doing in the moment, emotionally and mentally. I feel like my style tends to have an emotional and dramatic depth over anything else; otherwise, it’s free game. I really like having fantasy and/or sci-fi elements in my works. Likewise, I like to make sure my works always reflect adventure, whether it be a trip to the store or a trip down memory lane or otherwise. Since your skill set and services are broad, does the tone of your work vary across mediums (video, animation, writing, photography)? Oh gosh—YES. Each service has an expected outcome, and even if the story varies differently from mainstream media. There’s kind of two real variables for tone of a story: what is the actual premise of the story and what medium is being used to convey this story? From there, the sky’s the limit. How would you describe your ideal client and project? My ideal client and project would be to direct a movie or be hired to write a script for a movie or television show, especially if it’s an animated adventure work or a live-action adventure/action work. I really like stories that have evident character development and story arcs that keep any watcher on their feet, even those who work in the industry and watch with a critical eye. What does an average workday look like? What is your favorite part of the workflow? Since I’m a student, my average workday is a lot shorter than I would like it to be. Generally, I try to at least have one thing to do per day, whether it be accessing and/or posting on social media, planning future works, or reaching out and scheduling things with clients—something I want to do more. My favorite part of workflow, is performing the actual service, whether it be in-house or client services! There’s a satisfaction of creation, no matter if it’s for a client or for a company. What has been your most fulfilling project or moment so far with TNT Productions? I think my favorite moments has been doing a social media consultation for Crème de la Fem! Social media production has been a skill I’ve been building for a while and felt like I had a decent grip on. By going through their profiles and seeing what could be improved, what times to post and with what kind of content, and so much more was really filling… I was really satisfied in the result of the hours I spent doing research. What are your future plans for TNT Productions? Well, something I’m really excited about is that I’m in the pre-production stages of a radio play for an in-house work! I can’t go too much into it since TNT Productions hasn’t officially announced it, but it’s concerns superheroes (something I really love) and it’ll be very entertaining, hopefully! Look out for this announcement in March-ish. How do you see yourself growing as a content creator? I want to continue to grow in style and diversity! I especially want to get to a point where collaboration is important for TNT Productions’ works and there’s a chance to pursue more in-house works so there’s the creative freedom I desire for TNT Productions since the beginning! Even more, I want TNT Productions to grow to a point where there’s a whole team and there’s a chance to have a bigger span of influence. What advice would you give to other English majors with such diverse skills and interests? I feel like I could just sprout all of the advice about things I have or haven’t done in the past, but I feel like my biggest piece of advice would be to just say YES to opportunities. There are going to be opportunities in the future that may seem counterintuitive, but those can be the opportunities that really help you realize your skills and wants for future plans. After all, if I wouldn’t have said yes to be the PR/Historian for Sigma Tau Delta, I wouldn’t have considered social media content as a possible career path at all. Don’t let the expectations of a “proper” career path bar you from the things that are interesting to you and really get you excited to learn and grow. Do you know anyone who you think is a pilgrim soul? Send your suggestions to bsueng@bsu.edu.